I have DG33FB motherboard with intel quad core processor. While buying it I did little R & D like number of SATA ports, DDR DIMM sockets etc. But I never paid attention to legacy ports like Serial and Parallel ports. I was under impression that these are default ports and don’t have to bother it. But now days most of motherboard manufacturer does not have support for these legacy ports. (Actually, motherboard chipset does not have support). But now after almost 2-3 years I need Serial port to communicate. So I purchased USB to serial converter. Well don’t buy USB to Serial Port converter. It won’t work. I used it for my hawkboard- it give junk characters. I googled and I found I am not the only one who is facing this issue with converter. 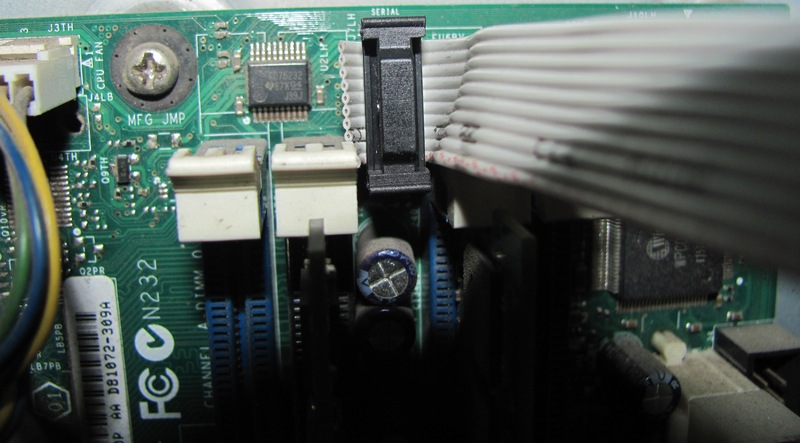 If your motherboard does not have serial port (DB9)/Parallel port (DB25) in back panel then it doesn’t mean that motherboard doesn’t have it. 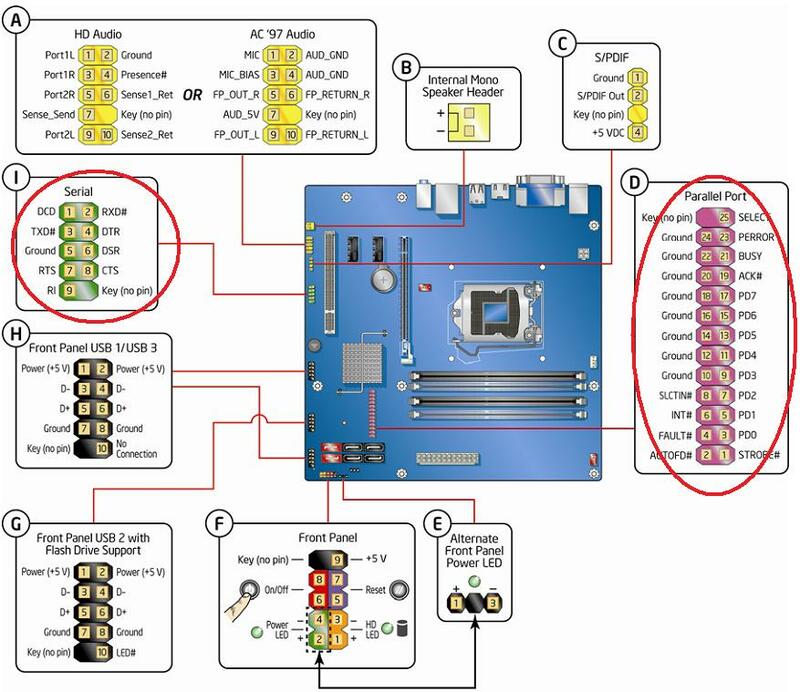 Go online and check motherboard technical product guide. 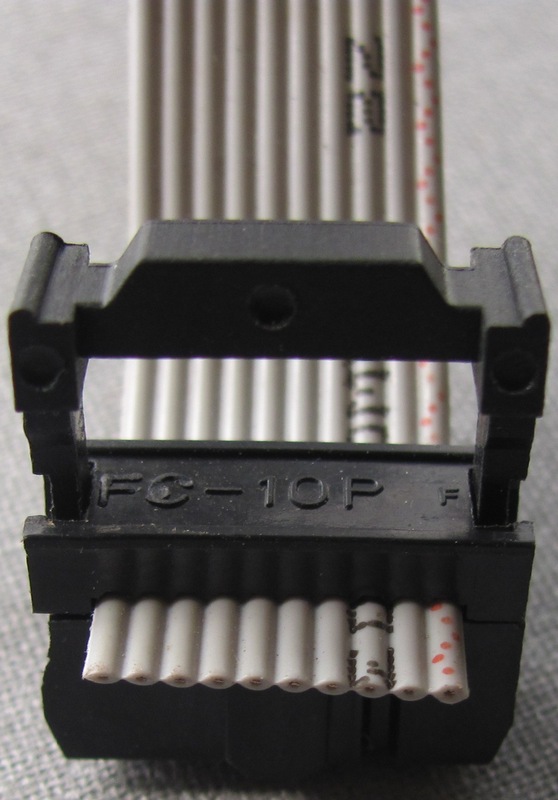 DB9 connector is not used regularly and DB25 connectors are more rare (May be used only for legacy printer- I doubt such a old printer is still working !!!!). 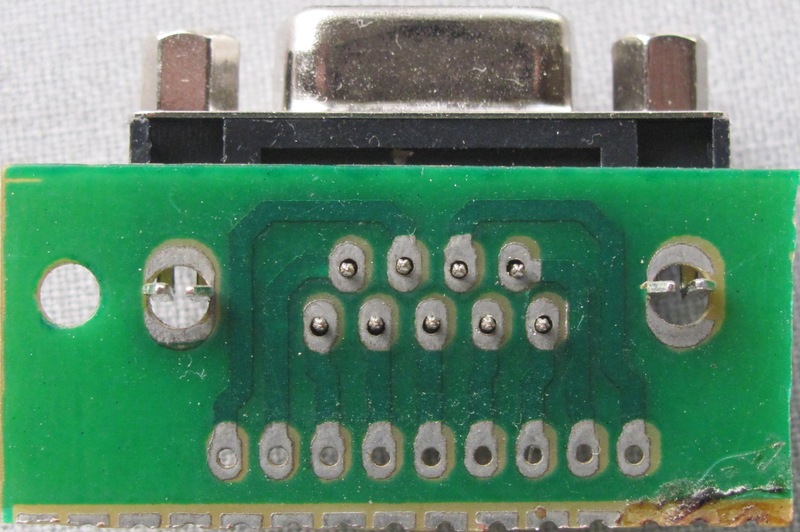 This is a main reason why it these connector were removed from back panel and placed as DIP pin header on motherboard. 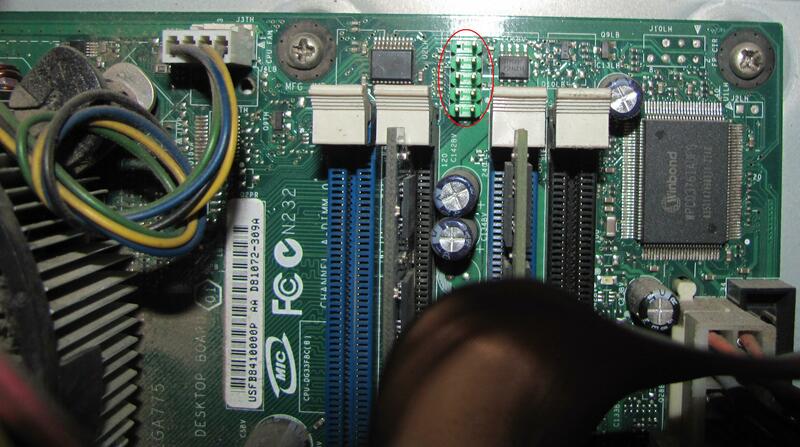 See below snapshot of one of Intel motherboard showing on board headers in red circle. This clearly shows you need specialized chassis or cabling solution to use it. Well it is better than not having it. If you want to know whether your motherboard supports these legacy ports or not open motherboard product guide. You can find out from there. But you may not be so lucky- I saw some new motherboard which not at all support these legacy ports. Well if that is the case then you may need to buy some extra hardware. I will recommend you to go for PCI-to-Serial or PCI-to-parallel port solution. Though I have not used it I saw one (PCI2Serial) on linux machine in my office and it was working fine (No junk characters). But if you want USB to Serial then be careful it may not work properly. Don’t buy local made, go for branded like TrendNet (Though I have not used TrendNet but it should work). I purchased local USB2Serial for Rs. 200. I also enquired for TrendNet convertor which was costing me Rs. 950- Almost 5 times. I was not aware of this reliability issue with local connector. I should have gone for branded converter. Do leave you experience with USB to serial converter. I made one DB-9 connector at home — A front Panel Serial Port !!! !